I love this beautiful, beautiful big butterfly from Indigoblu! I wanted to show her off on a large 8 x 8 Kraft card. I heat embossed her in white on the centre of the left side. 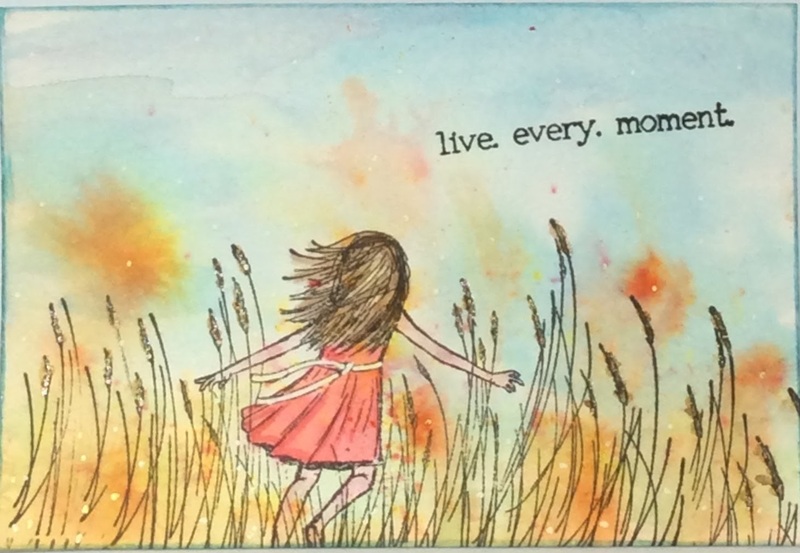 I repeated this on some stamping card, and coloured her with the gleaming Luscious pigment powders before fussy cutting her. I heat embossed the line of leaves from the Aztec Borders Stamp Set above and below the butterfly, and I also coloured them with the Lusciois. I adhered the fussy cut butterfly to the right of the first one. 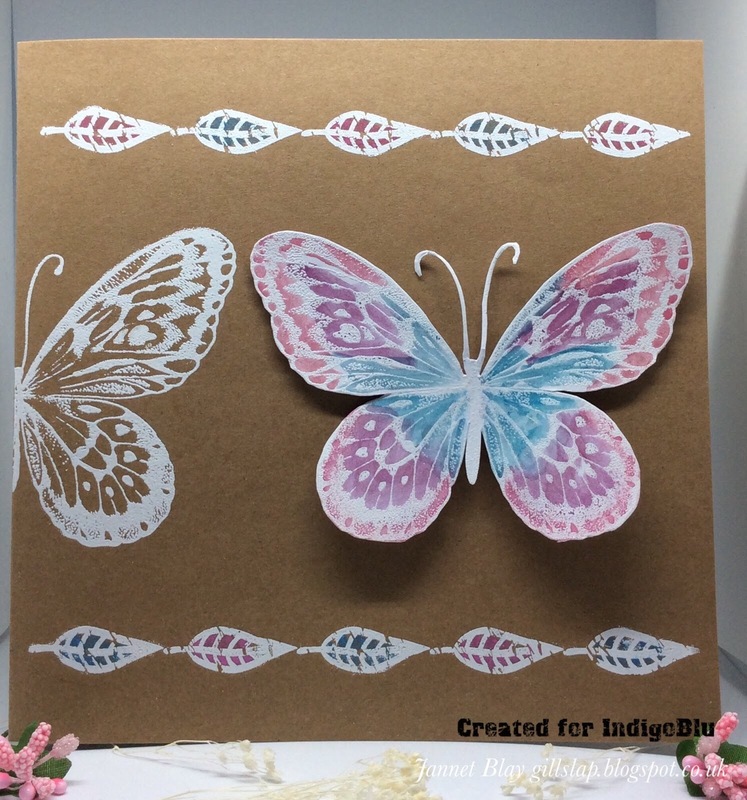 To finish I thought it would be nice to heat emboss the butterfly on the inside of the card. I think the white embossing looks nice against the Kraft Card. Please visit the Indigoblu blog to also see some fabulous art from Mike Deakin. Thank you for visiting me today, I hope you are having time to craft.Lets hope the snow stops soon ! 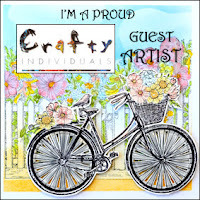 I am very, very honoured to have been invited by the lovely Jean Hardy from Crafty Individuals to be a guest artist this month! 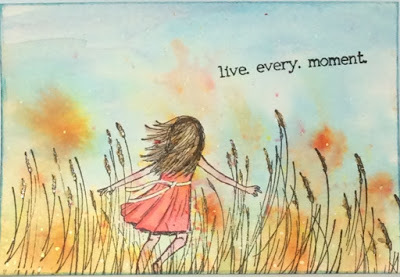 I always love creating with Crafty Individuals stamps, and had lots of fun. 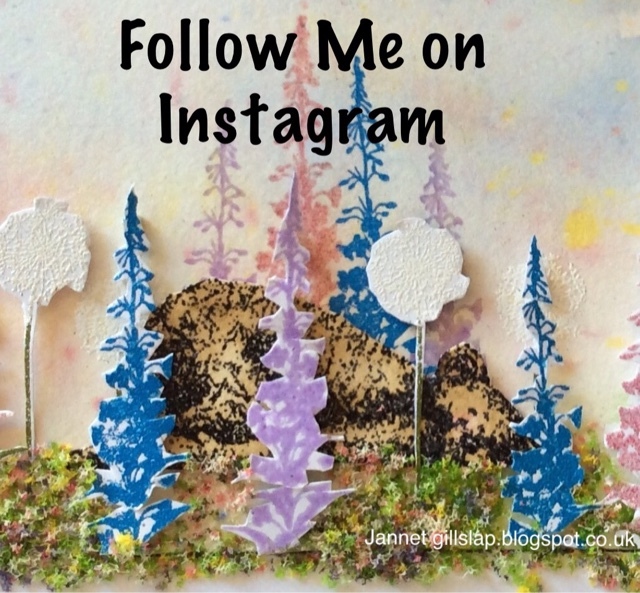 This is a mixed media piece featuring a Spring Walk, let’s hope Spring will soon be arriving now the snow has finally gone.There is a step by Step of how I created it on the Crafty Individuals blog.I will be sharing more samples soon. I always seem to be finding pressed flowers inside of books, so I actually decided to carefully take them all out and lay them in a box together. Some of my rose petals were quite large, and I wondered if I could stamp on them.... so I decided to experiment and the result is above it is all made from pressed rose petals and leaves. There are more details on the Indigoblu blog. Thank you so much for visiting me today, I hope you are well, and are having fun crafting. I would like to enter Stamping On Rose Petals into the following challenges.